Baking, roasting and now brewing. There are many growing social enterprises working in prisons, from Redemption Roasters and their fine coffee beans to Bad Boys Bakery in Brixton. To this list we can add a new craft brewery, Tap Social Movement. Founded in 2016, it offers training and employment to people serving prison sentences and those recently released from prison. 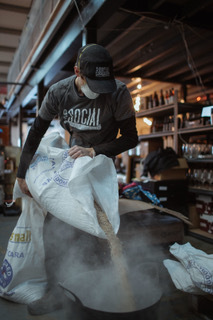 In helping individuals learn the skilled and technical art of brewing beer, Tap Social is out to break the cycle of offending and prevent people from returning to prison. The Tap Social team have experience in a range of positions across the criminal justice system, meaning they have a clear understanding of what challenges this population often face when trying to move on with their lives. The experience of the founding members means the training offered to prisoners and former prisoners is tailored to provide them with the right support and guidance to increase their chances of success. Indeed, the Tap Social Movement first came about in response to the barriers that ex-offenders face when trying to secure employment and the wealth of talent in the prison system whose potential is going to waste. In addition, the team is also made up of a group of individuals who go to work at Tap Social on day release from HMP Springhill. 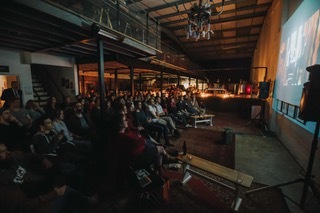 Becoming a respected member of the team creates a sense of belonging, helping residents be part of something beyond the prison environment, preparing for life after prison and making valuable connections with the local community; all this through the social and vibrant industry of craft brewing. For these prison trainees, Tap Social enables them to develop a strong work ethic and understanding of the working world before they leave prison. Tap Social also offers one-to-one support for prison leavers, helping them create CVs, prepare for interviews and plan their long-term career paths. 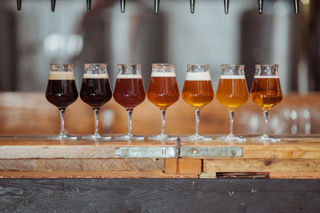 With their strong industry links Tap Social can often find people permanent placements across the brewing industry and in other related sectors. 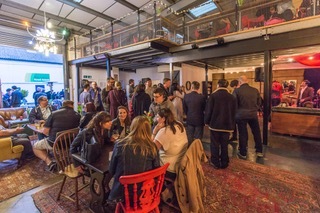 Tap Social has become a place where people from all backgrounds can attend community events and meet people from all walks of life. Events include live music, arts and cooking performances, charity fundraising, business conferences, festivals and award ceremonies. For prisoners and former prisoners, this inclusive and welcoming environment helps them feel part of a tight-knit community where they are not judged for past mistakes. For many this is likely to be a refreshing experience, showing them that they are able to move on with their lives and become part of law-abiding society. By helping ex-offenders recognise their potential and foster hope for the future, Tap Social is working to create a more inclusive society where people with criminal convictions are appreciated as valued members of the community.